Yavuz Gallery is pleased to present Kantil Moderato (Slow Tempo Edge), the first solo exhibition of Filipino artist Maya Muñoz in Singapore. In Kantil Moderato, the line between painting and poetry is further blurred, as what can be seen, can somehow be felt. Evident in Maya Muñoz’ exhibition is her repetitive use of subject matter, her quintessential neo-expressionist depiction of figures and the embedded psychological acuity in each of her works. 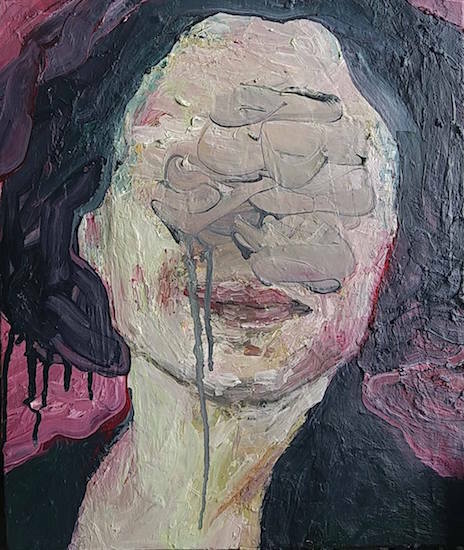 After years of concentrating on abstraction, Muñoz finds her way back to portraiture and figuration and fuses them with the textural and compositional elements of her abstract works. In each of her works, we find a certain movement drawn in every portrayal of her subjects. On one hand we see one of her subjects evolve or devolve into abstraction, with each passing depiction of the woman, the brushstrokes becomes more forceful; the rhythm of lines becomes more broken; the details are whitewashed into obscurity and yet somehow the essence of her subject becomes more vivid – more tangible. 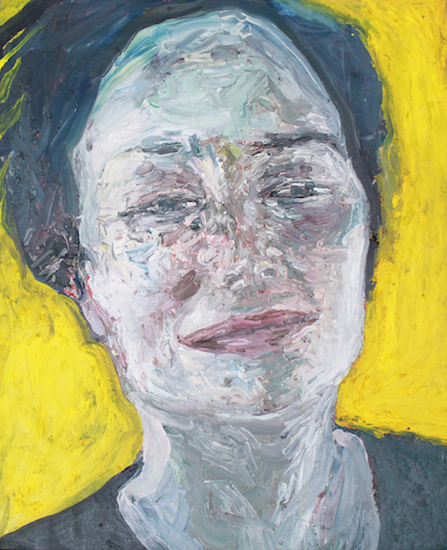 Her choice of subjects reveals a certain pattern of personal affinity; from making portraits of sitters close to her age bracket to themes and subjects she has done years ago. Arena, where an image of a boxing match is depicted alongside a tactile and gestural black imagery is reminiscent of drawings she made a few years back of people’s champ Manny Pacquiao. Andrew, American Dream, depicts the infamous serial killer Andrew Cunanan, which Muñoz used as a subject of her works a decade ago. 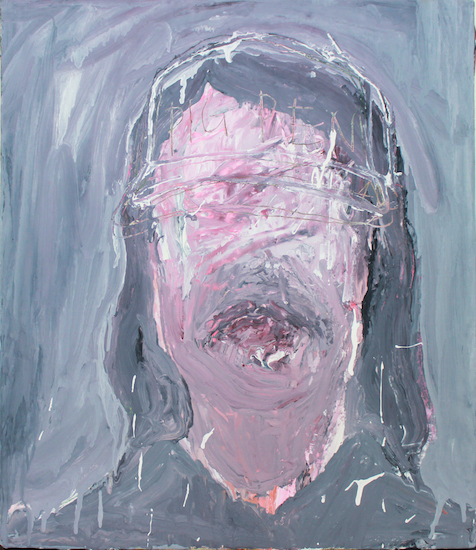 In both works, there is a sense of underlying violence and it is made visceral with Muñoz layers of paint – dripping, scraped off, and pressed down the canvas. In this series, Muñoz’ attempt to combine the physicality of abstraction and intimacy of figuration spawned into a commentary on what it is to be human, to be felt and expressed beyond the bounds of visual or verbal norms. Kantil Moderato closely reflects Muñoz’ inspiration for the exhibition – Marguerite Duras’ Moderato Cantabile, in which the story starts off as a depiction of one’s banal daily routine and ends up with a violent and tragic act. In this exhibition, the works not only serves as mere introspection of Muñoz on her subjects but may as well be seen as questions directed to her audience. A question on how it is to be at the edge of our finite mortality; how it feels to be at the edge of a moment of violence; and how to perceive the brink of life.